Vincenzo Cantiello has been selected by RAI to represent them at Junior Eurovision according to the Italian press. 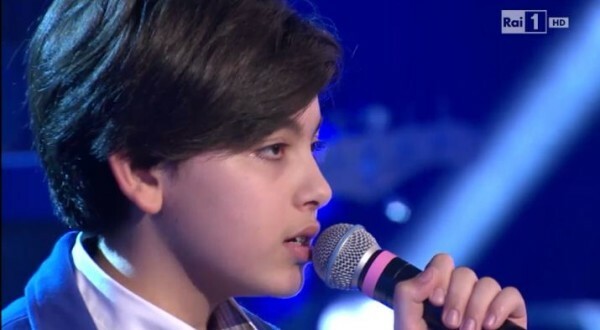 Vincenzo who is 13 years old has taken part in “Ti Lascio Una Canzone”, the same contest which both Federica Falzon (Malta 2014) and Michele Perniola (San Marino 2013) have won. It is expected that the host of “Ti Lascio Una Canzone” Antonella Clerici will take a role in Italy’s participation in the contest, possibly as a commentator in Malta. Italy are debuting in this years Junior Eurovision Song Contest after two years of rumors and discussions about the Big 5 nation taking part in the contest. The first boy in JESC 2014. I think he will sing a ballad. He has an amazing voice. Heck, yeah! He’s like a miniature Steve Perry! Bam!! Just to let you know, I found out on Wikipedia that Vincenzo was born in 2000. August 25. So that mars him 14. So could you please edit that?